We encourage you to join us in serving the people of Choluteca. Honduras is a lower-middle income country in Central America. Throughout the country, there is great inequality of wealth and income. Nearly 60% of the population lives in poverty. Approximately two-fifths of the population lives in conditions of extreme poverty. The problem is even greater in rural areas among agricultural laborers (USAID, 2011). Interest rates are high and very few people are able to invest in good housing. Many people live in substandard housing. A new house being built in front of the old one. been damaged by recent seasonal heavy rains, flooding, and occasional earthquake tremors. Roofs are built out of whatever material is available and are leaky and hot. Many homes do not have concrete floors, allowing water to run into the sunken interior rooms. Poor housing contributes to chronic health problems. While adobe brick construction is a relatively cheap method of construction, the earthen bricks allow potentially disease-carrying insects to live in the crevices. Cooking stoves are commonly built inside of homes with no chimney for the smoke to escape. Asthma cases are common. The dampness inside the homes encourages the growth of mold and causes respiratory problems. As missionaries working with World Gospel Mission, we moved to southern Honduras immediately after Hurricane Mitch. Hundreds of families had lost their homes during the hurricane. Southern Honduras was especially hard-hit. The new church that was being established immediately began to respond to the need for helping provide housing in the community. They took on the goal of building a house each year for a needy family. In the past couple of years, people in the church realized the need to begin developing a sustainable model for house construction. A low-cost model with available financing for poor families was urgently needed. We have been working to develop a housing model that provides options for building dignified housing with the poor. You can be a part of our team. 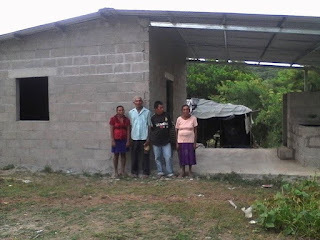 People of all ages and from various backgrounds have helped us set up a sustainable housing model for southern Honduras. We are now ready to expand the model. The Ohio State University College of Engineering partnered with World Gospel Mission and with our local Shalom Church in Choluteca, Honduras to design a construction model using locally available materials. The goal was to design and build a pilot home and sustainable funding model that would be culturally acceptable and available to low-income families. Skyping with OSU Engineering students. Teams of OSU students (view video) have built two model homes. They have worked alongside local Honduras construction workers and with home owners building not only houses but making relationships that continue to reach across international borders. Several groups from the United States go to Choluteca every year to help build homes. 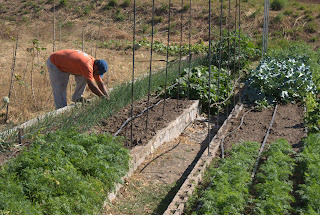 They work alongside the future owners of the houses and with people from the community. An essential element of the team was the creation of a rotating fund that is administered by our church's national credit union. A loan model has been set up where the credit union administers the financing of the houses. Through charitable donations, provisions are made to lower the payments for families who are not able to pay the full amount. It is vitally important that the clients take ownership of their homes. So far, the project has been a great success. This year our Choluteca team has helped build four family homes. In addition, they are building a parsonage for one of our local churches, and they are in the process of building a dormitory for our vocational school. Consider joining one of our construction teams. Pray that our local church will continue to learn how to best help needy families. donated by a hispanic church in the States. House built by OSU students. repaired after recent earthquake tremors. 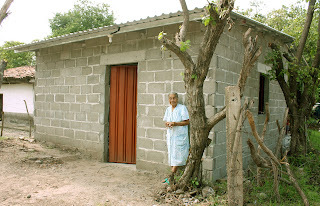 Adriana's new house was built by the Shalom Church.